Alex Sebahie, a New Jersey state championships medalist and former Rider University wrestler, was killed in a one-car crash on New Year’s Day. He was 21. A four-time NJSIAA Individual Wrestling Championships qualifier for Paramus High, Sebahie was killed in a crash after he drove off the Garden State Parkway and hit a utility pole early New Year’s Day, according to New Jersey State Police. Sebahie was driving northbound on the Parkway at about 4:15 a.m. New Year’s Day when his Nissan Altima went off the road and hit the pole near mile marker 70. He was pronounced dead at the scene. Sebahie wrestled at Paramus High from 2012-2016, tallying over 100 wins. 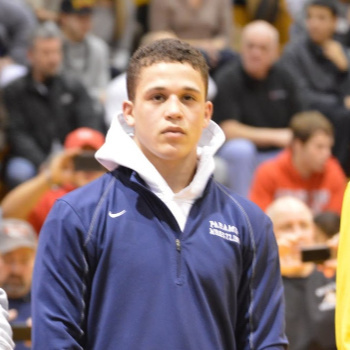 At the New Jersey state championships, he placed eighth at 132 pounds in 2014 and sixth at 138 pounds in 2015. Sebahie earned a partial scholarship at Rider University, where he was on the wrestling roster at the Lawrence, N.J. school for a portion of the 2016-17 season but has not been with the program for the last two years, Rider sports information director Greg Ott told InterMat. Paramus High wrestling coach Chris Falato weighed in with his memories of Alex Sebahie. Nick Suriano, 125-pound finalist for Rutgers University at the 2018 NCAA Division I Wrestling Championships who was a four-time New Jersey state champ for Bergen Catholic High, said the following about his friend also from Paramus: “Alex was always real and respectful to me — it went both ways. I always had respect for Alex, his brothers and his family. We climbed the rec and high school ranks together — although at different schools, still representing Paramus. Issa Sebahie, Alex Sebahie’s father, told the Daily Voice that prayers from the wrestling community have been a comfort. Services for Alex Sebahie have been announced. Family will receive friends on Sunday, Jan. 6, 2019 from 4-8 p.m.at the Vander Plaat Memorial Home, 113 South Farview Ave., Paramus, N.J. The funeral will take place Monday, Jan. 7 at 10 a.m. at Our Lady of the Visitation R.C. Church, 234 N Farview Ave. in Paramus. A GoFundMe page has been established to help the Sebahie family with funeral expenses.